San Antonio Automatic Transmission Repair Service Shop - Sergeant Clutch Discount Transmission & Auto Repair Shop is the premier source for Automatic Transmission Repair and Transmission Problem Solving. Our Certified Transmission Mechanics have years of experenice keeping transmissions shifting. When you have automatic transmission problems call Sergeant Clutch. We specialize in Fixing Automatic Transmission Problems. Sergeant Clutch is bound by a Code of Ethics and provides great honest service at a fair price. So when you take your car or truck to Sergeant Clutch, you can be sure you’ll never pay more than necessary to get your transmission shifting and back on the road. If automatic transmission problems are caught early you can avoid expensive repairs. Minor transmission repairs are far more affordable as they do not require a complete transmission rebuild or replacement transmission. 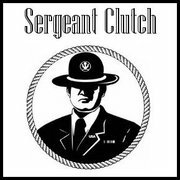 Sergeant Clutch offers discount prices, great workmanship, value, and a great warranty. An automatic transmission fluid service is designed to prevent unexpected failure and to keep your transmission functioning optimally. A few things that can lead to an automatic transmission service include towing heavy loads and insufficient levels of transmission fluid. Checking transmission fluid levels is important for keeping all internal gears and components clean and lubricated. Grinding noises and leaking will alert you to potential problems early. If you notice a burnt smell emanating from your vehicle’s transmission, there may be a problem with your transmission’s ability to retain fluid. A lack of routine maintenance can contribute to automatic transmission trouble. Replacing a transmission can be expensive, so staying on top of automatic transmission repairs and basic maintenance is important for maximizing the life of your transmission. Sergeant Clutch Will Beat Any Written Transmission Estimate! If you’ve had your car or truck checked by another auto repair shop, dealership or transmission shop and want a second opinion call Sergeant Clutch we offer a FREE 2nd OPINION.